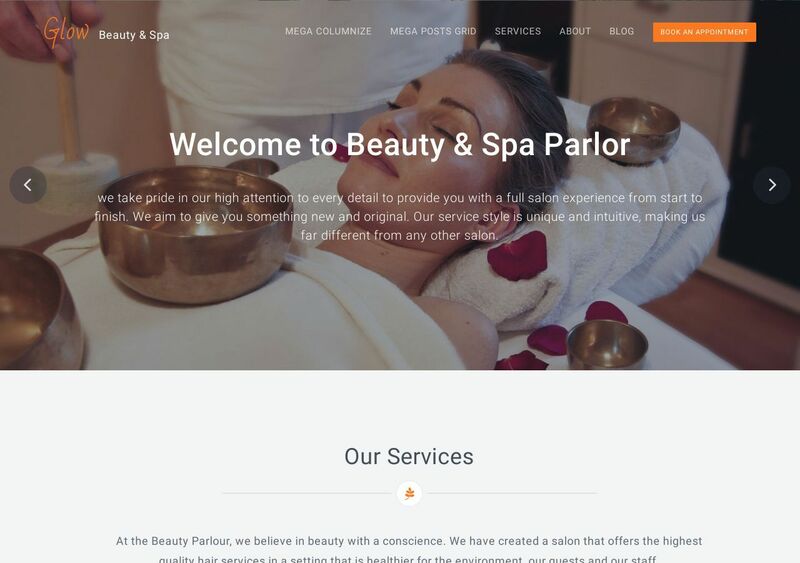 Glow is a trendy and free WordPress theme for wellness experts, beauty salon owners, and otherwise businesses who work in the self-care field. It’s a blend of modern WordPress features combined with simple design practices to ensure high-availability. We’ve seen Glow used not only but beauty service businesses, but also bloggers and personal coaches who have an eye for effective clean design. Using Glow, you can present your homepage like a digital business card. There’s space for adding featured images, galleries, and sliders. But, also, you have room to highlight services, client reviews, and even add special discount codes. Overall, Glow focuses on helping you sell your services, rather than just having to talking about them. The creamy White on Gray color scheme creates a pleasant reading experience for visitors of all ages.